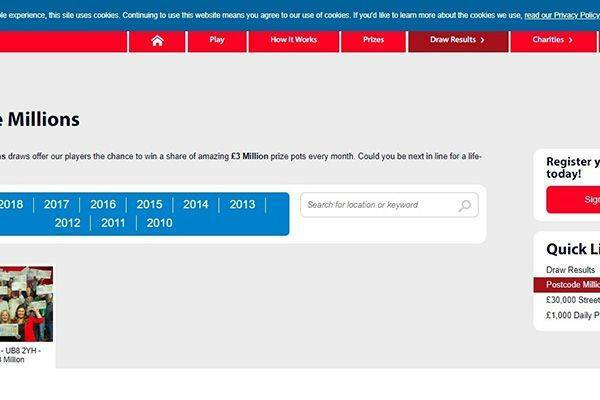 eople’s Postcode lottery emerged from its parent company called Novamedia and they have been in operation since 1989 with the major aim of supporting charities. Novamedia currently runs six other charity lotteries; People’s postcode lottery in Britain, Nationale Postcode Loterji in the Netherlands, Vrienden Loterji in the Netherlands, BankGiro Loterji in the Netherlands, Deutsche Postcode Lottery in Germany and Svenska Postkod Lotteriet in Sweden. Since its inception in 2005, People’s Postcode Lottery has raised over £272 million for good cause and has also awarded winners every single day of the year. To participate, all that is needed is to pay a fee of £10 monthly and you’ll be automatically entered into draws. With its website, it has created an easy means for playing and has enabled players to make game selections from the comfort of their homes. The website also includes a blog that helps announce winners and give the latest news reports. Its website was created to accommodate all forms of players; novices, experts, students all within the age range of 16 and above and every weekend players in two postcodes get £30,000 cheques delivered to them personally by celebrity street prize presenters, every month a lucky player wins a brand new BMW, go on dream holidays and finally a lucky winner picks up £3 million cheque at the post code millions parties. 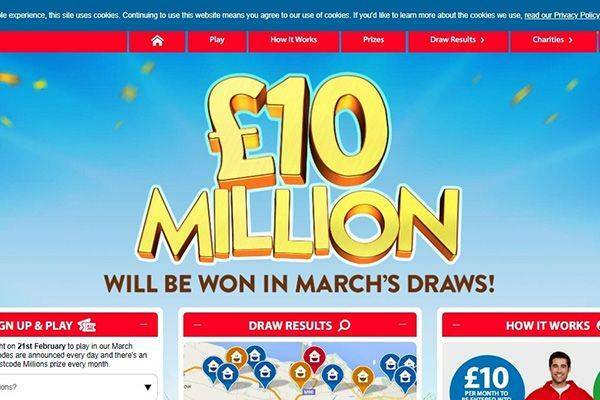 To qualify for a draw, all that is needed is a monthly subscription fee of £10, you sign up on the website and get lottery tickets that are based on your UK postcode. Only playing postcodes are entered into the draws, what this means is that they are guaranteed winners every single day and the more subscription you play with, the more you can possibly win. This suggests that if a particular postcode wins, multiple winners would emerge from those who played with the winning postcode. At the end of every month, £3 million is guaranteed to be won and shared by one lucky postcode area. From Mondays to Fridays £1000 would be given out to 10 winning postcodes. Every Saturday, £30,000 would be won for every ticket in 1 winning postcode. On Sundays, for every ticket in 1 winning postcode, £30,000 is won. Provisions have also been made for monthly winners in two different categories, £5000 holiday vouchers and £2000 spending money for every ticket in a winning postcode. The second category awards £25,000 for every ticket in 1 winning postcode and a BMW for a lucky winner. There are no mobile apps available for downloads in any platform although, the website is mobile friendly and enables for easy navigation. There are no promotions available. Registrations are made online through the website and are paid by Direct Debit. Tickets do not need to be bought each week all you need to do is buy your ticket once and wait patiently for a win. To claim your winnings, the amount would be paid directly into your bank account. 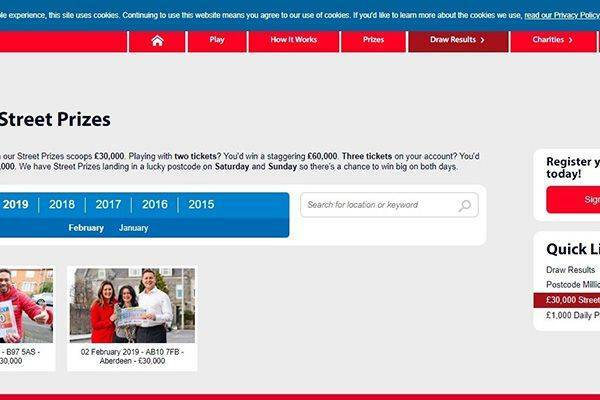 In some cases during weekly wins, you could have the cheques delivered straight to your home by celebrities or for the monthly draws you could pick up your cheque during the People’s postcode lottery millions party. For your basic inquiries, the FAQ has all the answers covered as they have categorized all problems and provided extensive answers to whatever question you might have. 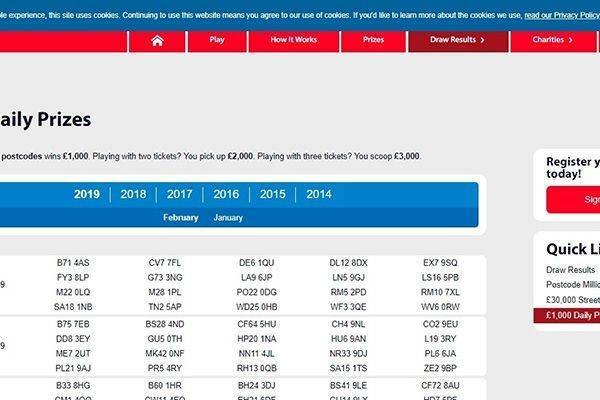 IS PEOPLE’S POSTCODE LOTTERY LEGIT? 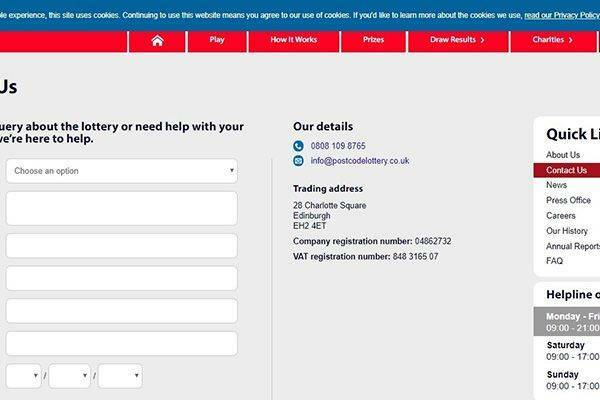 People’s Postcode Lottery is very legitimate as it is incorporated in England and Wales and is also licenced and regulated by the gambling commission so is its website which was created to aid players by making them participate all from the comfort of their homes. 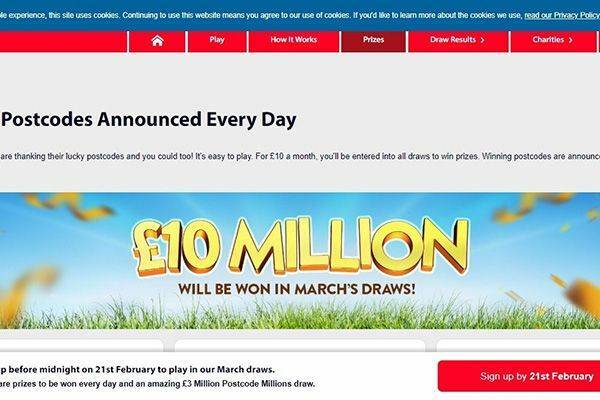 If you are looking for a legitimate means to make money through the lottery with a clear cut system, then the People’s Postcode Lottery is a sure bet. It avails you the opportunity to win every single day of the week with guaranteed winners from a selected postcode whilst creating a means to helping charities.